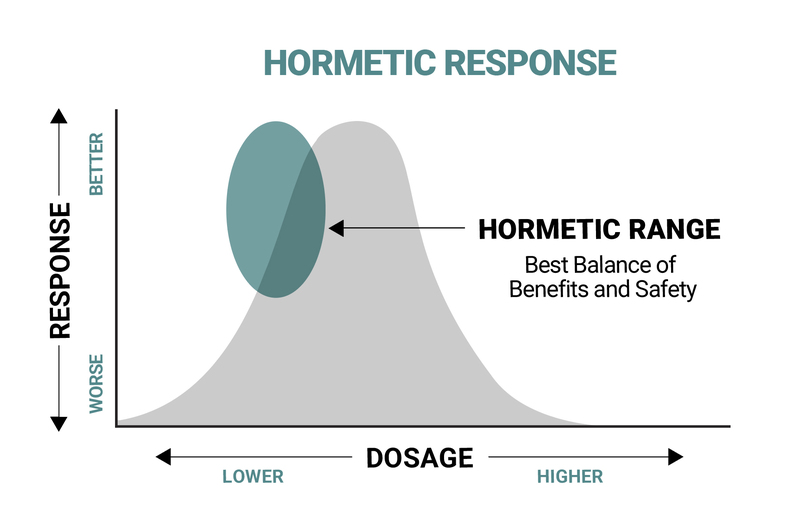 Choosing the optimal dose for a given ingredient in our formulations is a critical and nuanced topic, so we want to share a bit about the principles that help guide our decisions at Neurohacker. Our principles derive from complexity science—the science of complex adaptive systems—and guide how we factor research and approach formulation and dosing. They take into consideration scientific evidence on the change in effect caused by differing levels of exposure (i.e., the dose-response relationship), but they do this in a way that honors complexity. The concept of a dose–response relationship isn't unique to complexity science. What is unique is how complexity science interprets aspects of this relationship, looking for how response changes (1) as dose increases, (2) when more than one ingredient is combined, (3) over a duration of time, and (4) based on timing. Dose-dependent does not mean that benefits go up in a straight-line—the relationship is often more of an S-curve. As dose increases, benefits often increase greatly within a range, and then tend to plateau, only increasing gradually at higher dosages. 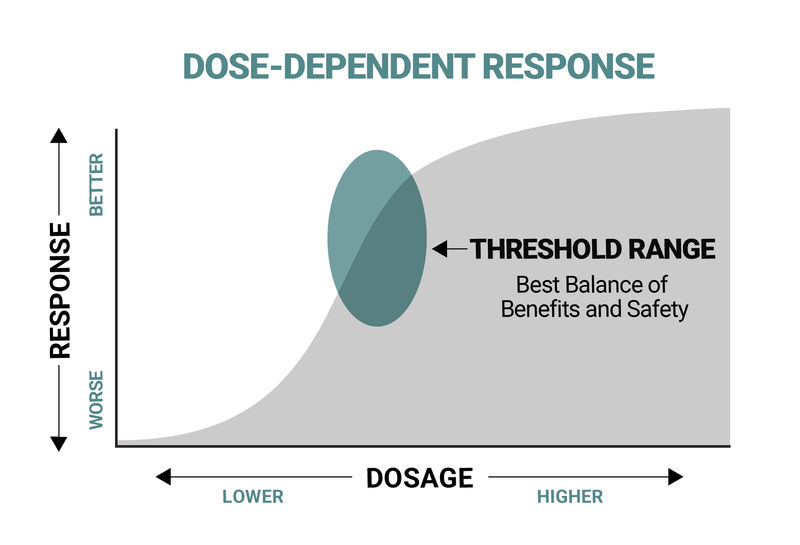 Many dose-dependent ingredients follow this type of dose-response relationship, a pattern that fits with the Pareto Principle (also known as the 80/20 rule). In fact, some real-world things follow exaggerated versions of this principle (90/10 or 95/5). When this principle is translated to dietary supplements, it means that much of the effect (i.e., 80%+ of benefits) might occur from a relatively low amount (i.e., the first 20% of the dose) of an ingredient. When this is the case, it’s important to identify the range where large changes in response occur (and beyond which increased effects are more gradual). Exercise is a good example of the Pareto Principle in action. Most of the health and general fitness benefits from exercise occur when a person goes from being sedentary to moderately active. Doubling the amount of exercise again does not double these benefits—it adds a marginal amount of additional health and fitness. And, doubling exercise once more produces even less added benefits. Beyond a threshold amount of exercise, additional benefits come at the cost of much more time and effort for increasingly diminishing returns. This idea of a threshold amount is important because the best value from our efforts comes from making sure we are following the strategies that allow us to get the 80+% of benefits from our actions. We mentioned that some ingredients are dose-dependent (i.e., more is better within reason); others are biphasic (an inverted U-shaped dose-response pattern). Biphasic implies that there can be a beneficial effect at low doses, and no effect (or an unwanted effect) at higher doses. This type of dose-response is sometimes called “Hormesis.” It can be thought of as being akin to exercise training, where the right amount of exercise builds fitness (i.e., a beneficial outcome), but excessive exercise increases the risk for injury and overtraining (i.e., unwanted outcomes). Hormetic factors provide a challenge to the body (i.e., a mild stress) that cause complex adaptations. 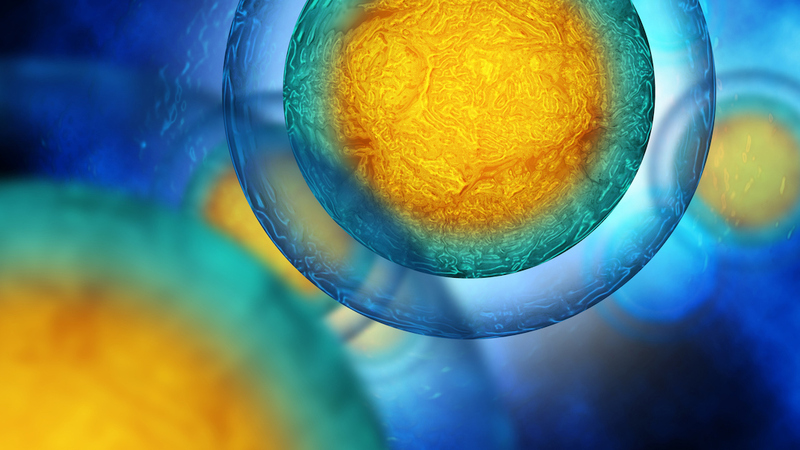 These adaptations result in being better able to respond to similar challenges in the future. A positive side effect from this process is that the body is also often left more capable of responding to other unrelated challenges. In stress research this is called non-specific adaptation. 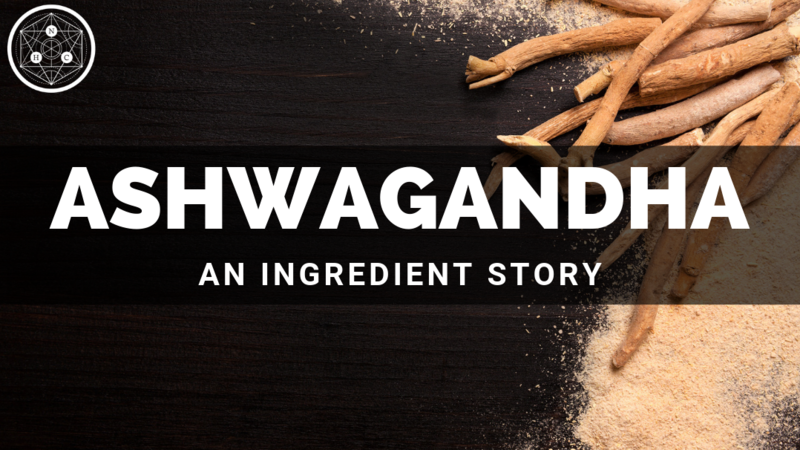 Many herbal adaptogens, as well as some flavonoid molecules such as curcumin and resveratrol, tend to follow hormetic dosing principles. * For things in this category, there's typically a hormetic zone (or range) where there’s a favorable biological response. It’s important to be in this zone; it’s just as important not to be above it. Adaptive capacities are not unlimited and often require time to emerge. Because of this, it can be better to err on the lower side of the range, allowing the body to gradually adapt. Synergy means one ingredient impacts the effects on another. 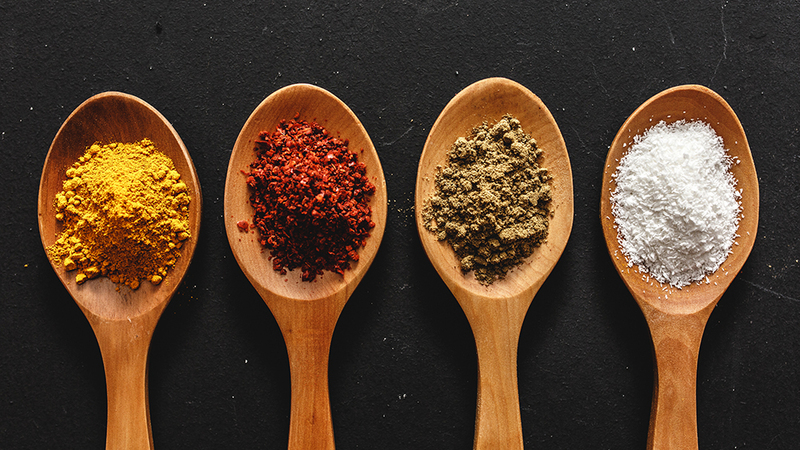 Some ingredients improve absorption, metabolism, or effects of others—when these synergies exist, doses needed are typically lower (often much lower) than when one ingredient is given on its own. In complexity science, it's understood that the body learns as it interacts with whatever it's being exposed to (e.g., dietary supplements, exercise, stress). This is the process of adaptation and can result in the response to something changing over time. This idea of adaptive responses contrasts with the tendency to assume that the same response will be sustained. A sustained response means that if X occurs after 1 week, X will still be occurring months later. An adaptive response model recognizes that many things do not follow this pattern. Exercise is an example. Starting a new exercise routine will improve fitness. Continuing to follow the same exact routine month after month can result in a plateau, followed eventually by overtraining. But changing the routine, or taking time off (cycling) can result in sustained positive results. Some dietary supplements can follow adaptive response patterns, with the initial positive effects decreasing (and occasionally going away entirely) over longer periods of time. * In general, adaptive responses are much more likely to occur at higher doses, and can often be prevented with lower dosing. It’s important to be alert for these types of responses when reviewing scientific literature because they impact dosing amounts and influence recommendations about cycling the ingredient. The next consideration has to do with timing and body clocks. Our physiology has circadian biological rhythms. It’s great to optimize wakefulness capabilities and physiology at the beginning of our day; it wouldn’t be such a good idea to be doing this just before we plan on going to sleep. 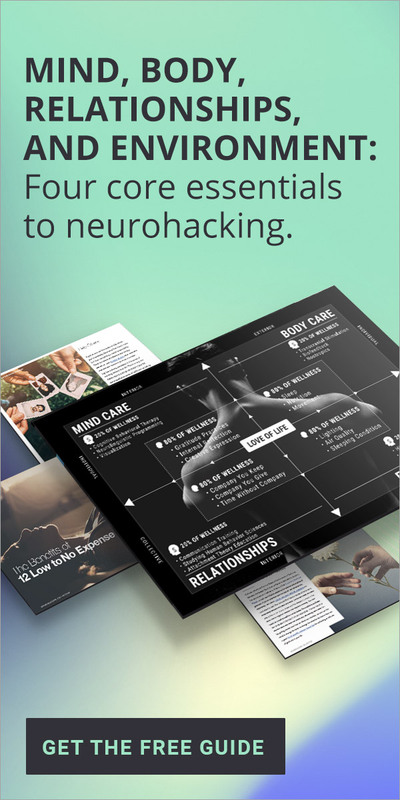 At Neurohacker when we approach dosing, we think about timing. 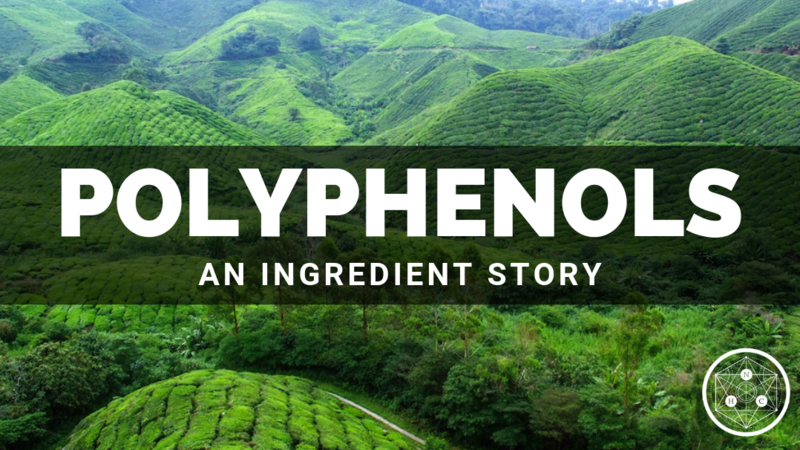 Does the ingredient or effect we are after have a rhythm? Do the nutrients we are considering have a timing window? The last consideration is the intended effect(s). 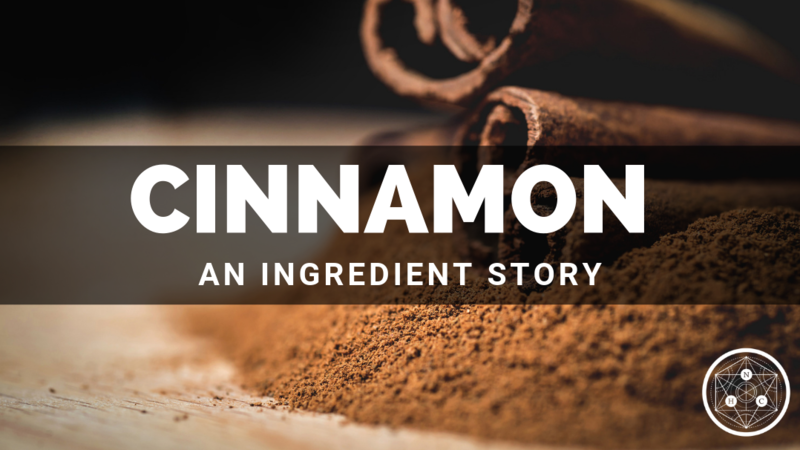 Some ingredients can have more than one physiological effect (or mechanism of action). A different dose might be needed depending upon the intended outcome or reason for including the ingredient. The doses needed to support a pathway or process, especially as part of a complex formulation, might be much different (i.e., lower) than the dose needed to influence other outcomes. Complexity science teaches us that, rather than fixating on what’s being done, we should pay attention to how something responds. The real test of dosing decisions is about response. Responses for a group tend to follow bell curves (i.e., normal distributions). While many persons will cluster around the average, there can be outliers. Returning to an example of exercise, an identical routine won’t affect everyone the exact same way. Most people will get a fairly similar benefit (i.e., they’ll be responders), but some people might get tremendous benefits…they’ll be super-responders. And still others, might not gain the expected benefits...they’ll be under-responders. 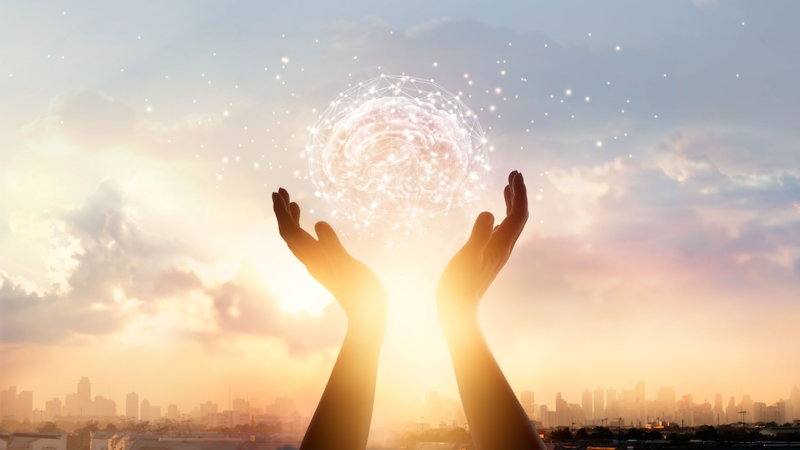 Variations in response are an expected outcome—using a software analogy they are a feature not a bug—when one looks at the world through a lens of complexity science. When all our dosing principles are combined the goal is to maximize responders and super-responders, while minimizing under-responders. 1. Auddy B, Hazra J, Mitra A, et al. A standardized Withania somnifera extract significantly reduces stress-related parameters in chronically stressed humans: A double-blind, randomized, placebo-controlled study. JANA 2008:11(1);50-56.